April, 2015 | Fulcrum ConsultingWorks Inc. 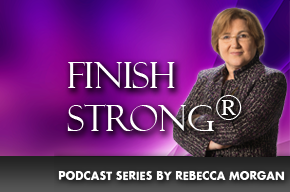 In today’s podcast, Rebecca discusses how to keep your best employees from leaving. Rebecca explains why supplier use of your data can hurt supply chain performance, and what to do about it. Rebecca shares the role of Operation Strategy in risk management, minimizing the negative impact of disasters and business interruptions, supported with 5 steps you should take to get started. Rebecca shares ten aspects of leadership development she sees in companies with effective succession plans. In this podcast Rebecca shares three observations that distinguish manufacturing excellence award recipients from applicants that are not, and provides value to any manufacturer.